Time to step up your boom and stop crime as a super-powered Agent in Crackdown 3's open-world sandbox of mayhem and destruction. Explore the heights of New Providence, tear up the streets in iconic vehicles, and use your powerful abilities to stop a ruthless criminal empire. Play the campaign solo or with a friend in co-op mode or compete in the all-new “Wrecking Zone,” a multiplayer mode where destruction is your ultimate weapon. Online multiplayer requires Xbox Live Gold subscription (sold separately). Level Up Your Agent •	Level up your super-Agent skills to move as fast as lightning, jump over skyscrapers, hurl trucks at your enemies and protect the city from cold-blooded criminals. 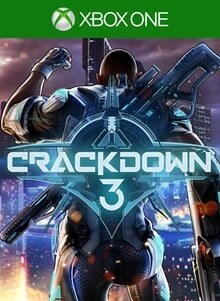 Dangerous Open-World Playground •	Play solo or with a friend in co-op mode to explore an expansive, vertical world to infiltrate crime lords and take down their syndicates. Take a BOOM Out of Crime •	Lure vindictive crime lords out of hiding by completing objectives, attacking criminal operations and taking out high-value captains. 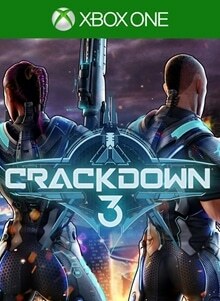 All-New Multiplayer “Wrecking Zone” •	Crackdown 3 includes the all-new “Wrecking Zone” – an explosive competition with unique modes where destruction is your ultimate weapon against friends and rivals. ***Xbox Live Gold membership required for online multiplayer on Xbox One (sold separately). Play on one device at a time. PC hardware requirements may vary for games on Windows 10. Enhanced features for Xbox One X subject to release of a content update. Games information at xbox.com/enhanced. Specific enhancements vary by game. Test your skills in the all-new “Wrecking Zone,” an explosive 5v5 multiplayer competition where destruction is your ultimate weapon against friends and rivals.